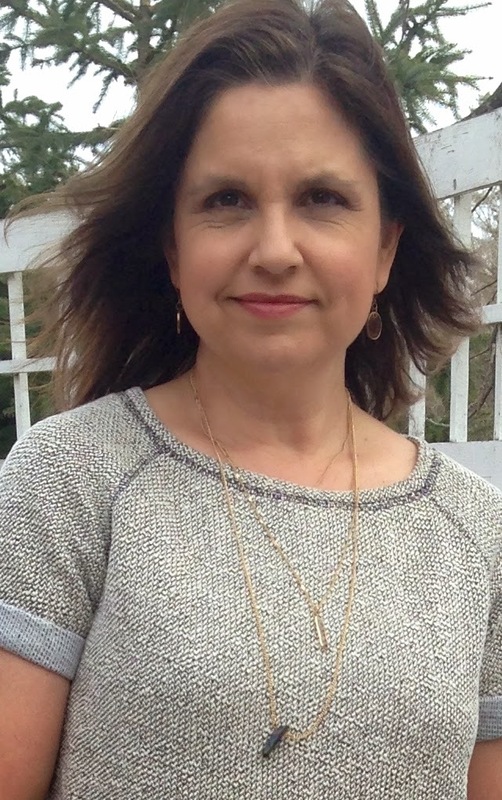 I love the layered necklace and short sleeve top, stitch fix wins again! 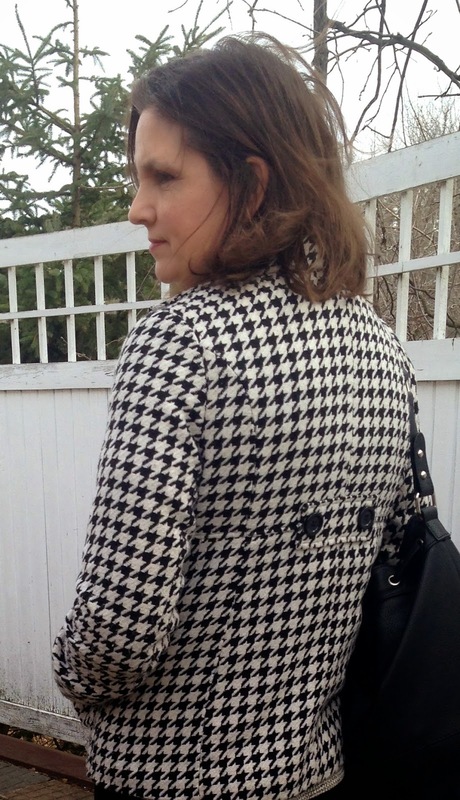 Love your houndstooth jacket and your gladiator sandals! 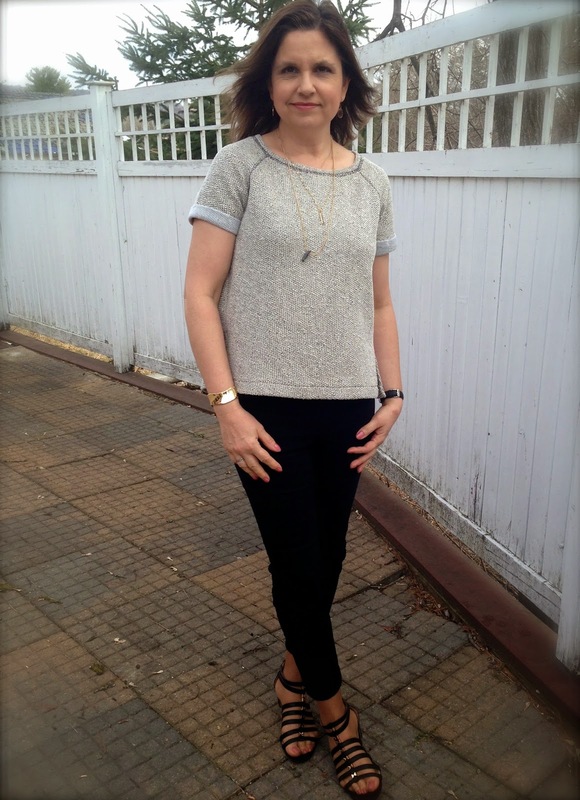 Thank you for linking up with SHOE AND TELL on Style Nudge! 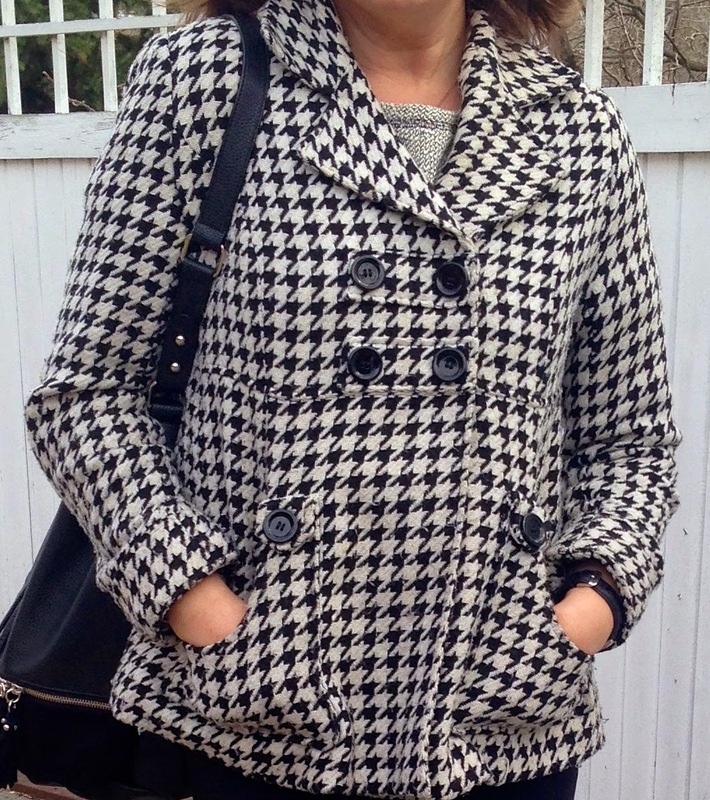 What a cute outfit and that houndstooth coat is FABULOUS. Also glad to see you carrying that Express bucket bag! I have seen it in store and it's SO cute. Glad to hear you can carry a lot in it! LOL. Such a cute jacket. Great look. 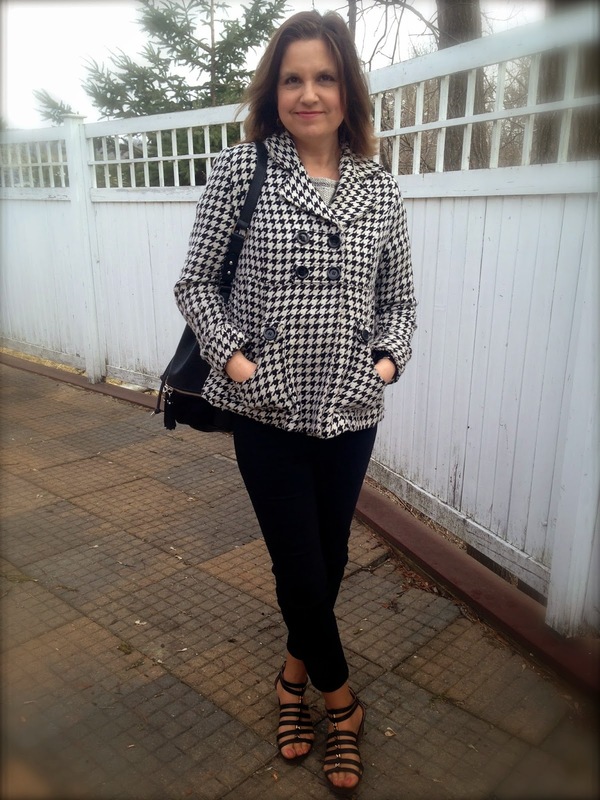 Love this adorable jacket! Such a great pattern and style. 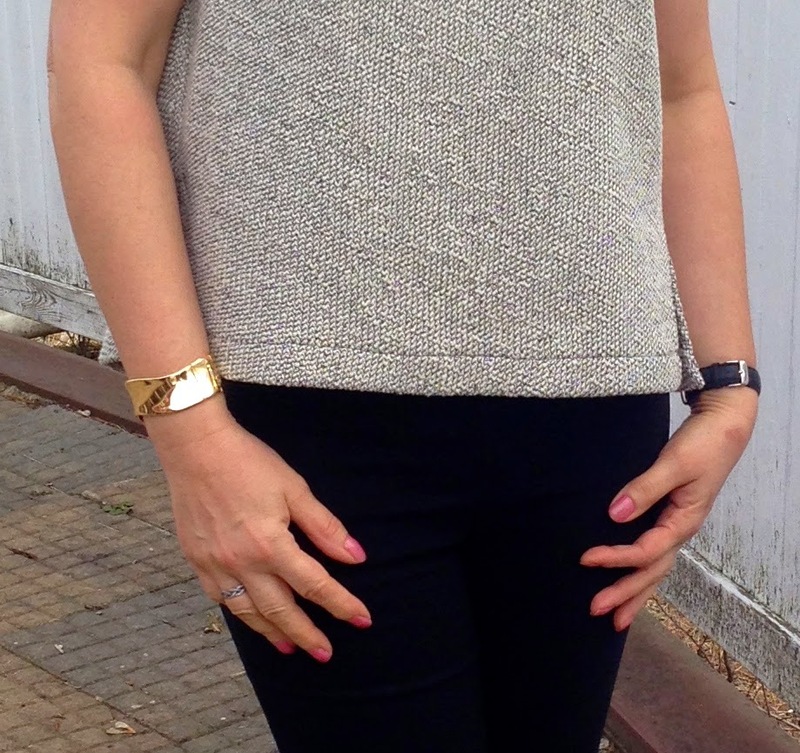 I am really into the more delicate layered necklace look right now. I love the length of yours. Have a wonderful weekend, Amy!